We are also characterized by our engagement to respect the Fair Trade Rules and we are a a member of WFTO (World Fair Trade Organization). 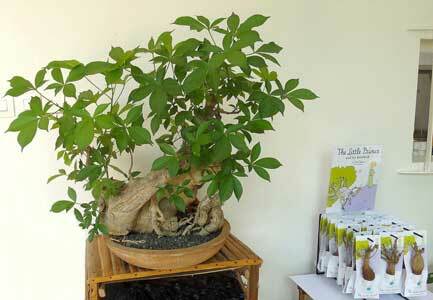 We are mainly specialized in baobab trees and adansonia digitata by-products. 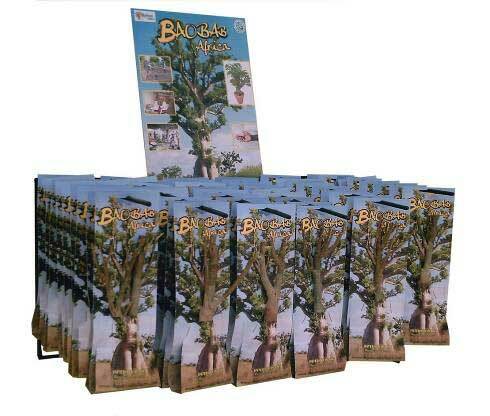 Our 125 acres plantation allow us to grow millions of baobabs. We don't export in earthenware pots as international phyto-sanitary services don't agree for the moment any African substrate. 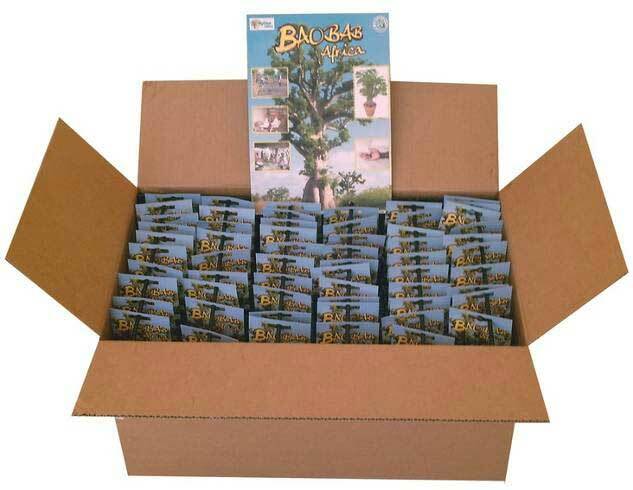 Our concept is to export plants without any substrate which can have autonomous life during several months and we launched a ''Baobab kit'' for garden centers. 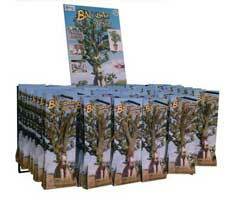 Our products are CE standards quality with bar code and instructions in 6 different languages. 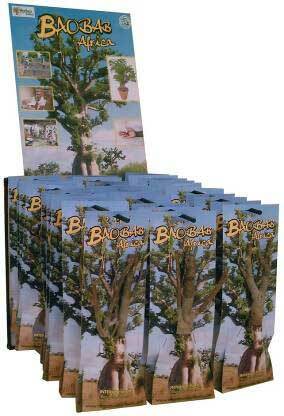 The Baobab is sold in a dormant stage. You just have to replant it to bring it back to life. 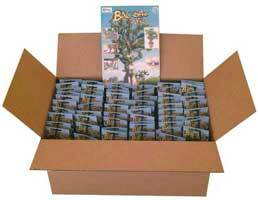 The kit is composed of a cardboard packaging and a young Baobab Tree (Adansonia Digitata) of 2 years. The Baobab is protected on the root and the top of the branches by paraffin (in order to avoid the evaporation of the water), it can stay in its packaging between 3 and 5 months before being replanted. In its natural environment, the Baobab Tree remains 9 months without water thanks to its caudex (bulging root) and waits patiently for the raining season (3 months). Instructions : remove the Baobab Tree from its packaging , prepare a pot with compost, plant out the Baobab (leave half of the root outside) and water copiously; or replant in open group by preparing a hole of 30 X 30 X 60cm, then put 1 shovelful of compost at that bottom of the hole and mix, then water copiously. Expose in full light, let the ground dry between two copious watering. Adansonia digitata by-products CE approval such as baobab pulp powder produced in partnership with an Italian laboratory, baobab fruits red fibers and baobab leaves. Upon request we can process baobab tree fibres. Transport options: Senegal Post (up to 30kg), EMS, DHL, Air freight and container� Consult us for a quotation. 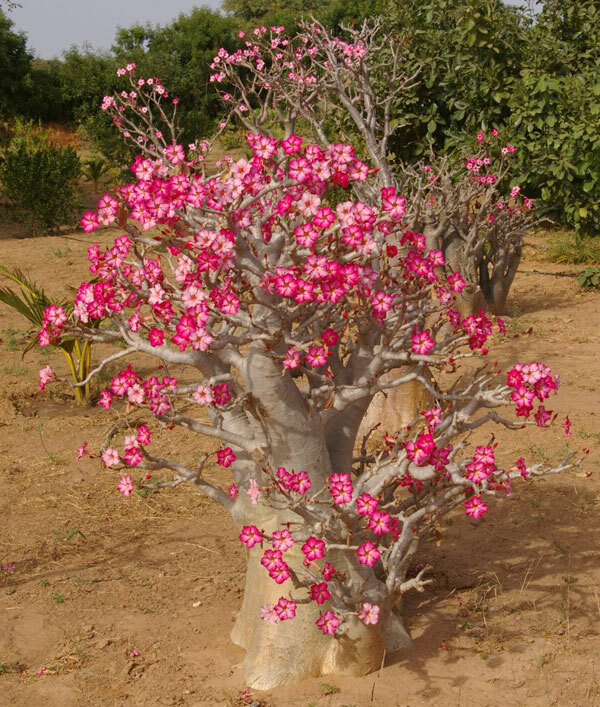 New: Adenium is a genus of flowering plants in the family Apocynaceae, containing a single species, Adenium obesum, also known as Sabi Star, Kudu or Desert-rose.